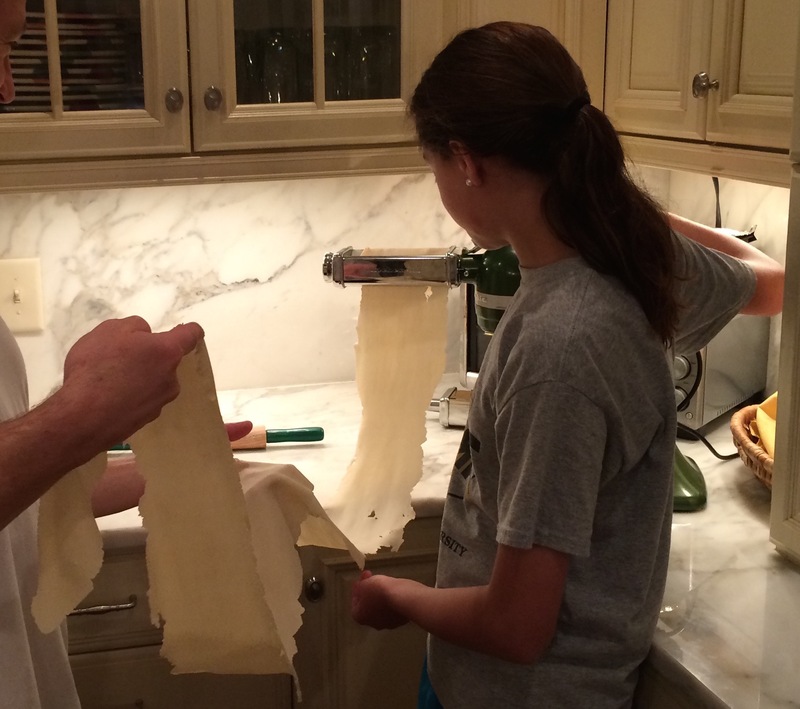 There is nothing as satisfying as homemade pasta. We don’t make it frequently, but when we do it is always a big hit. 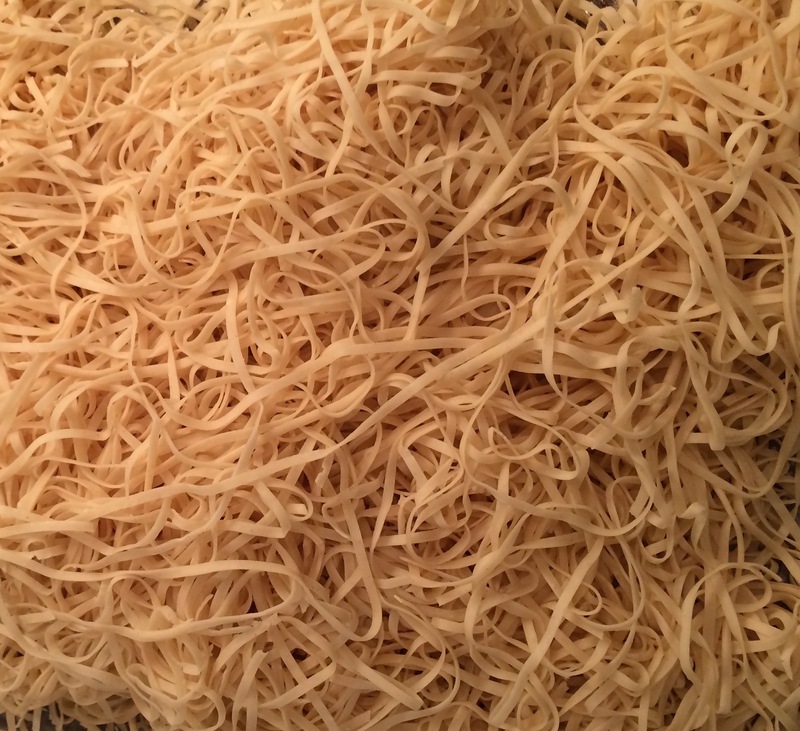 It is quite simple to make and requires few ingredients. Pulse flour in food processor a few times to incorporate air. Add the eggs all at once and process until the dough forms a ball.If it is pebble like and 1/2 teaspoon of water at a time to get the desired consistency. 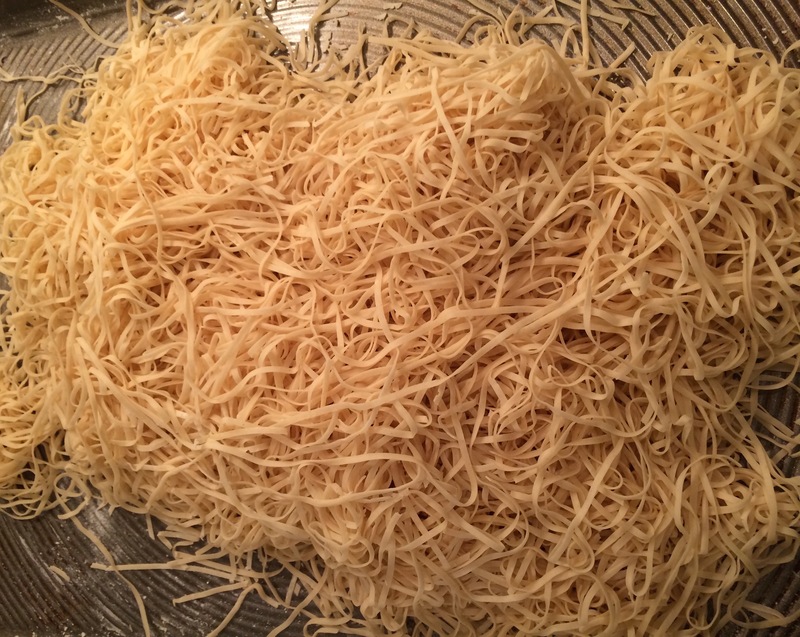 If the dough sticks to the sides of the work bowl add flour until the dough forms a rough ball. 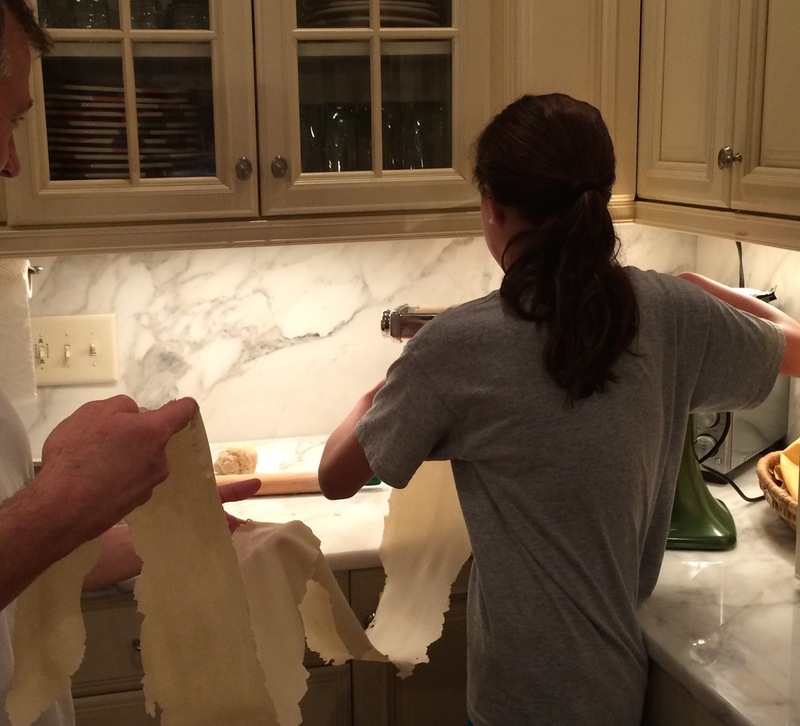 Turn the dough out onto the counter. Knead by hand until smooth, about 2 minutes. Cover with plastic wrap and let rest for 15 minutes or up to 2 hours if you want to make ahead. Take 1/6 of the dough and shape into a disc. 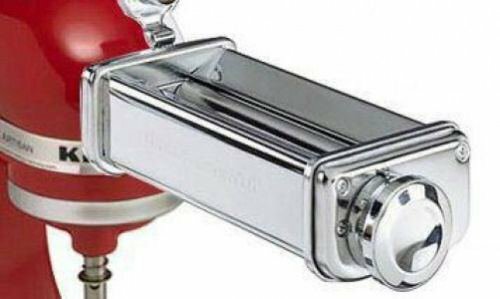 Run through the widest setting on the pasta roller. You should have nice long sheets as below. Run it through the rollers several more times on increasingly narrower settings. 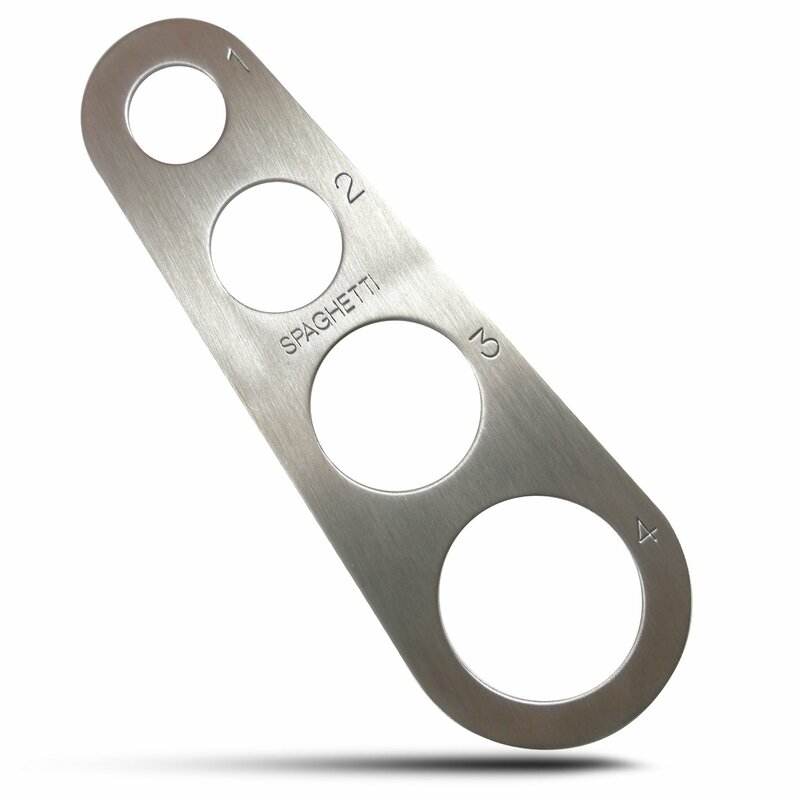 The strips will elongate as below. 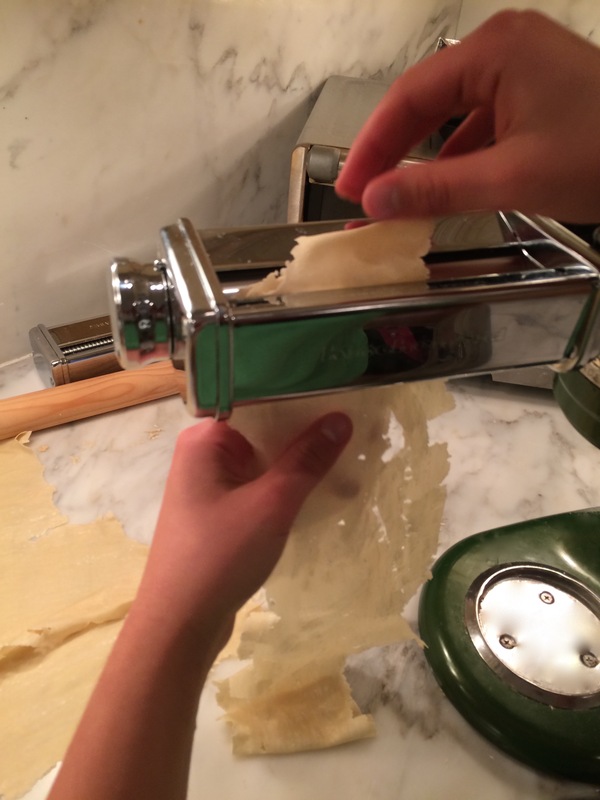 When you can see your hand through the dough, it is thin enough. 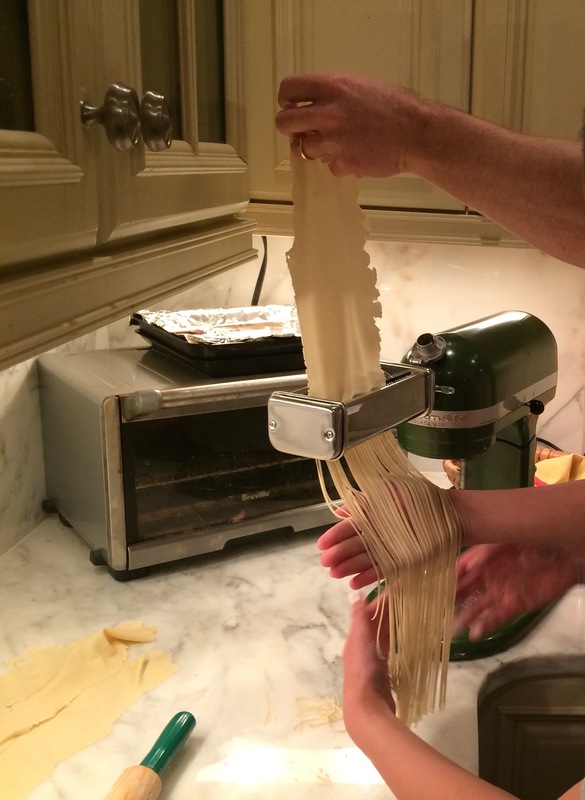 Use the pasta attachment of your choice to make the desired noodles. 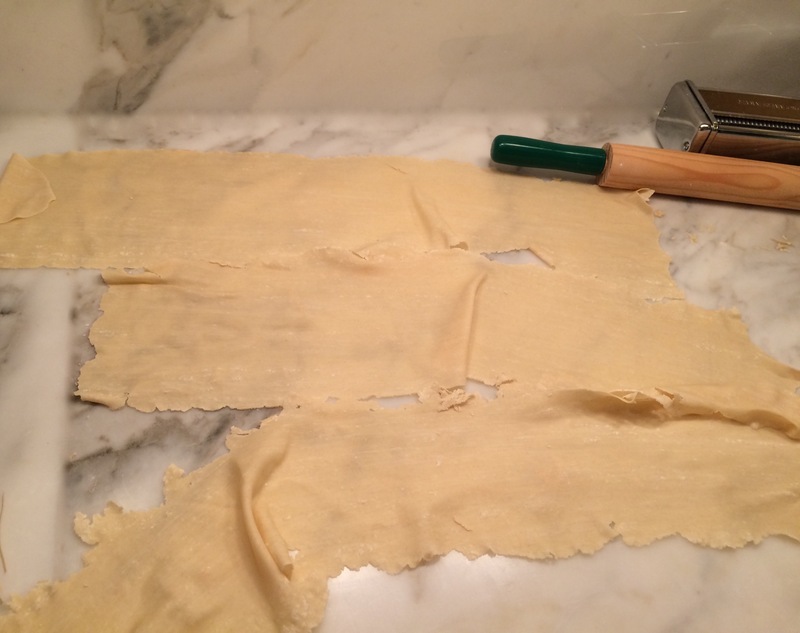 Let dry on a on a floured sheet or a drying rack until you are ready to cook. 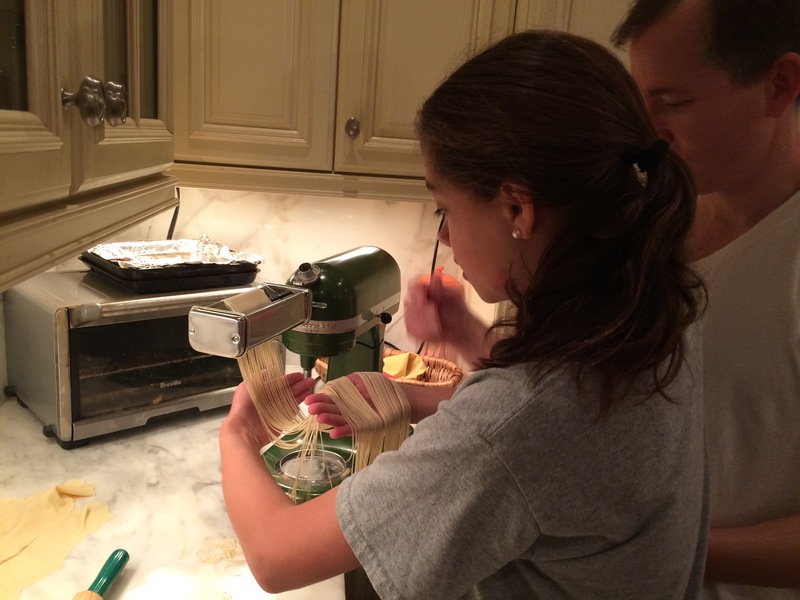 With just 2 ingredients you have a wonderful pasta and a fun evening activity. 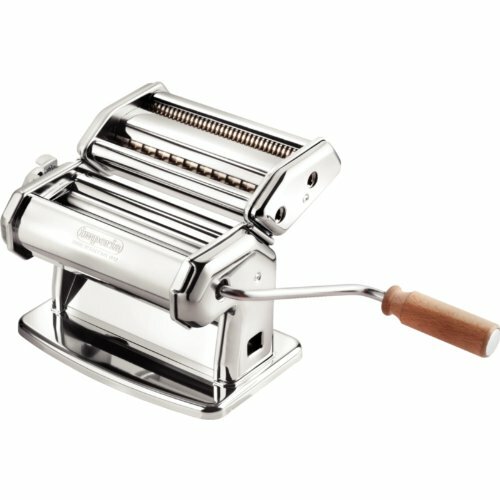 Below are some items to get you started on your very own pasta endeavor. 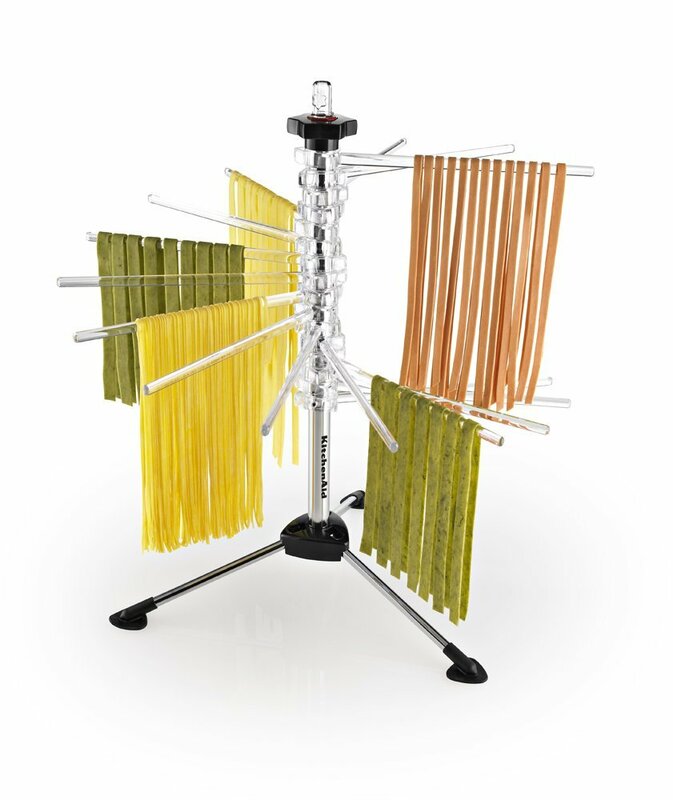 If you are interested in a particular item, there is an embedded link in each picture below to make it convenient for you to click on the item and get in time for your next pasta night. 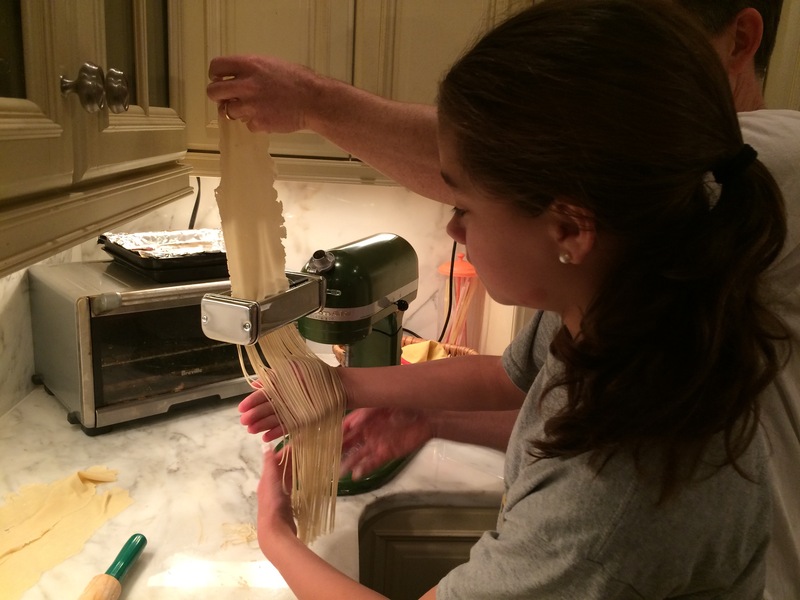 I love homemade pasta. I usually make it for my family, but looks like yours had fun doing it together. Think I’ll try it that way next time.